"Make your games here!" 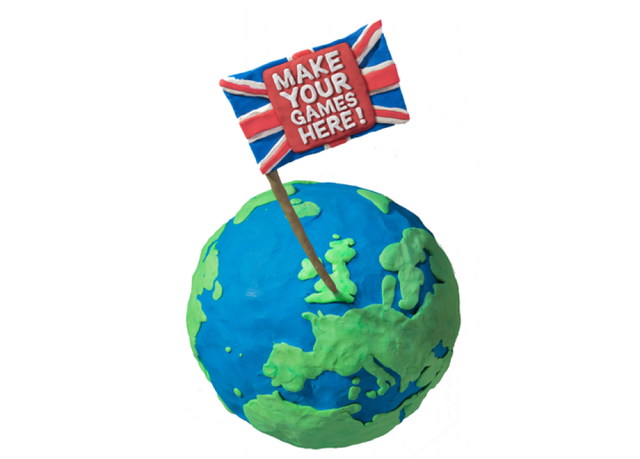 the UK entertainment trade body, UKIE, exclaims, pinning a toothpick onto a UK shaped slab of plasticine. A statement I would find tougher to justify in the case of a Brexit. I am an EU citizen in the UK with a Spanish passport and 6 years of British residence. I also make small indie games and have benefited from the vibrant UK indie games community and its place among the EU creative industries. While understanding the pitfalls of the European Union, it's not all that surprising that when it comes to the EU referendum this 23rd June I'd like for the UK to remain. The indie games scene in the UK is significantly funded by the EU. The Creative Europe scheme has rewarded well over half a million euros in grants towards innovation in games. Most of that money goes towards UK indie games studios, including €124,503 towards multi-BAFTA-winning The Chinese Room's upcoming title, Total Dark. Meanwhile the European Commission is investing €80 billion towards research and innovation in Europe through the Horizon 2020 scheme. The UK is the second largest receiver of these grants, only a single percentage point behind Germany. It kickstarted our Ludic House studio, granting us €12,500 while we were still MA students and securing our first games title. Even funding bodies like Creative England get a significant chunk of its funds from the European Regional Development Fund, a body investing £2 billion into the UK. And that is not the last of grant giving bodies as more arts funds open their submissions to interactive media projects. You as an indie games developer have access to these funds by residing in the European Union. "The UK has begun to overtake Canada as the most desirable country in which to develop games," boasted Richie when he came to guest lecture at Brunel University in 2014. But will it continue to be so if we lose access to European funding? We'd have to trust the UK to cover the hole left behind by the loss of EU grants. With other sectors also affected through loss of funding, we could never be sure how much of a priority the videogames industry would be. An overwhelming majority of the UK games companies favour the remain campaign. Unsuprising when the EU headquarters for major companies such as Sony, SEGA, Microsoft, Konami... are all located in the UK and would consider relocation in case of a Brexit. However, more than the big games studios and publishers, I'm personally concerned about the indie scene. In Brighton and London pubs, I meet individuals and small teams, some hobbyists, some entrepreneurs, drinking pints over laptops as they check out each other's games. The wealth of innovation fostered in these monthly meetups could contest E3. A staggering 95% of games studios in the UK are considered micro or small businesses and 83% of them are independent. We are in the middle of a flourishing start-up scene. With a lack of public funding, these start-ups might be forced to seek out publishers too soon in development, losing the creative innovation that comes from games as art rather than games as business. The freedom of creating small projects is vital in the videogame ecosystem. It is out of the risks taken by indies, cushioned through grant giving bodies, that has made game designers in the UK become creative leaders, shaping global game trends and creating new genres. I'd like to make games in the UK. Over the six months since graduating I have met talented developers and witnessed an incredible community supported by an inspirational trade body which is always ready to fight for its industry. Whether remain or leave, I hope indie developers will always feel empowered to innovate and I hope I can stay to make games with them.